So Lonely in Gorgeous: Come See The Paradiso! This week I have fallen head-over-heels in love with the Guerlain by Emilio Pucci Terracotta Vernis Nail Lacquer in Paradiso. 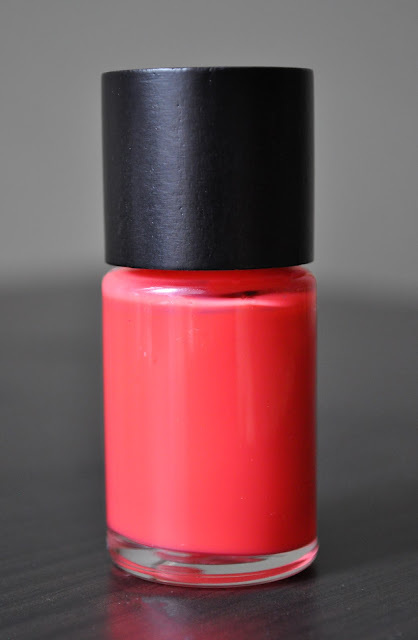 When I ordered the Guerlain by Emilio Pucci Collection, I was going to skip on this polish because I have a lot of red-corals in my nail lacquer collection. But, I took a chance and ordered it anyway. 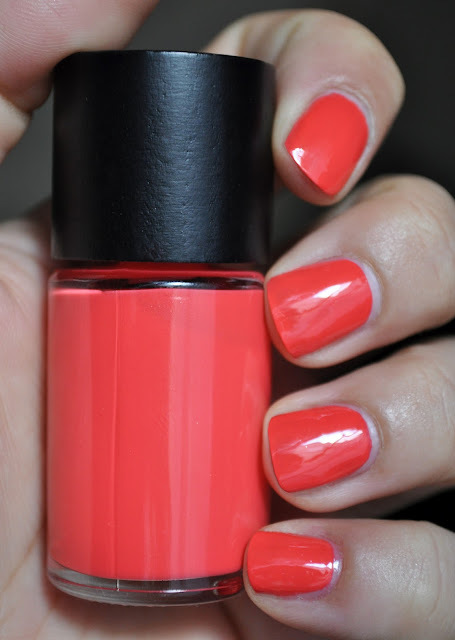 I am SO ecstatic to own Paradiso, and it's probably my favorite red-coral nail polish! If you can still get your hands on this lovely (still available at saks.com), BUY IT!!! What is your favorite red-coral nail polish? Sheesh!! I am NOT comming here anymore! You get me hooked on things I'd written off eons ago. You're a very wicked enabler Ms Gorgeous. at first this color caught my attention but in the end I picked the riviere :) I love the packaging of this but I don't think I will purchase another Guerlain lacquer since I think the lacquer quality is not that outstanding. I picked up Riviera as well, and I love it! Really, I love Guerlain's lacquers. I feel the same way about Chanel's polishes, lately I haven't been impressed with the quailty. I'm with you gorgeous. Chanel has been rather worse lately. I found the quality of the Paradiso to be right up there with the best. I could easily have left it as a one-coater. Was the Riviera not as easy as the Paradiso?